This week has been full of ups and downs. Although, I can say that it's been less stressful than last week because Mia really has behaved this week. However, I've been pretty unwell and full of cold, especially the last couple of days. Yesterday was the worst but oh well! I had my midwife appointment on Wednesday and I heard Baby boy's heartbeat again. Everything was fine with Baby. My next appointment with the midwife will be to do my GTT test to see if I have diabetes or not, then not long after I will have my first of many consultant appointments and I think from then onwards it will go really fast! How are you feeling this week? Pretty cr*p but worse yesterday. Full of cold an feeling unwell with not much energy to do much things. Symptoms? Nausea sometimes. Dizziness. Dull/dry and greasy hair - the joys! Movements? I have felt baby move quite a bit recently and pushing against me. Lovely feeling. Any sign of Obstetric Cholestasis? Just the same, coming and going so far. So nothing to complain about YET. Roll on the next 24 weeks! Sorry you feel rubbish this week, hope you recover from your cold soon. I'd forgotten how lovely it is to feel your baby move, my kids are all grown up now. 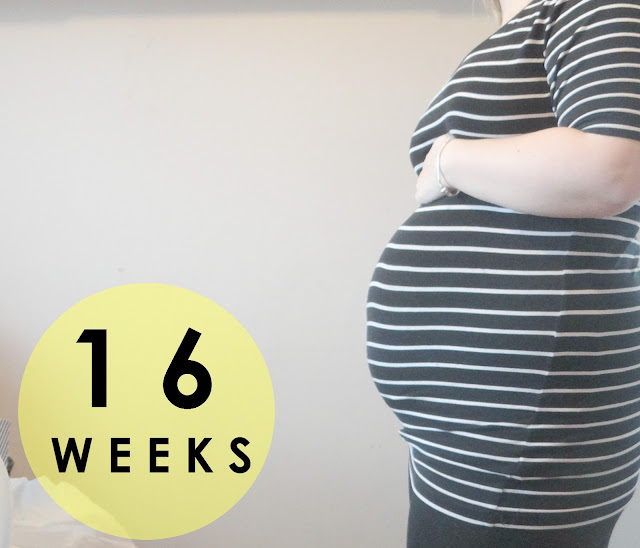 Feeling the reassuring flutter of baby moving was always such a great thing about being pregnant, i remember! Hope you are feeling better soon. I love that mummy bloggers are a thing, I think it's great you document stuff like this. I know that sounds strange but it's just so informative. We don't learn about this at school, it's terrible! I loved feeling the baby moments. So weird but nice at the same time. Sounds as though you have had a tough few days. I hope things are looking up now. Hope you feel better soon, I love pregnancy, it's such an exciting time! I hope you feel better next week! Hope you feel better soon, this is such a lovely way of documenting your pregnancy! Its awful having a cold and feeling crap when you're pregnant. such a cute little bump! Hope you are feeling better soon and can get some rest to get over your cold. Just 4 more weeks to half way! Well post its tell us how to successful your healthy pregnancy with net way thanks for share it Janet Darby .